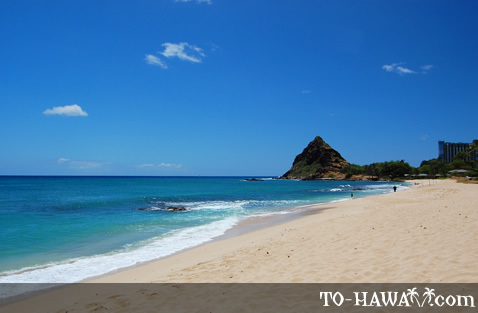 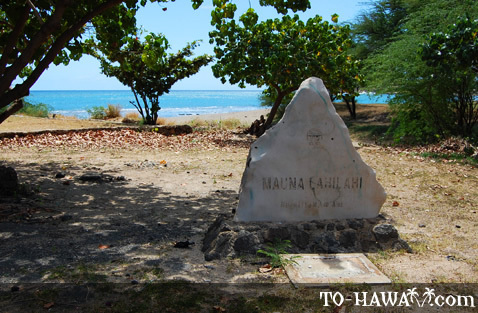 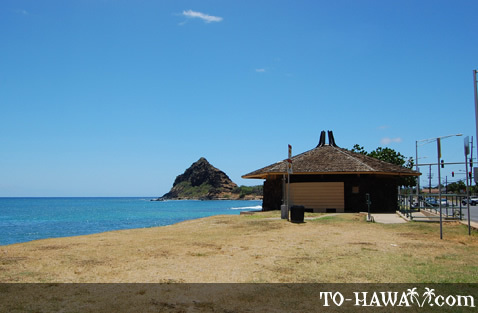 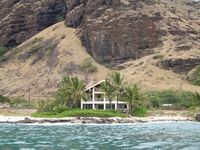 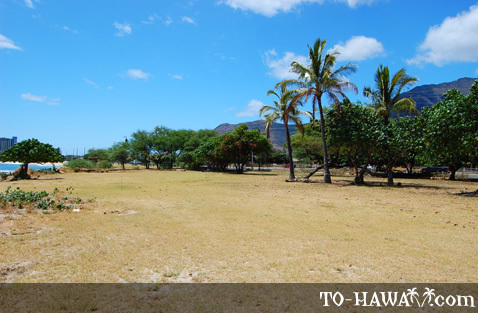 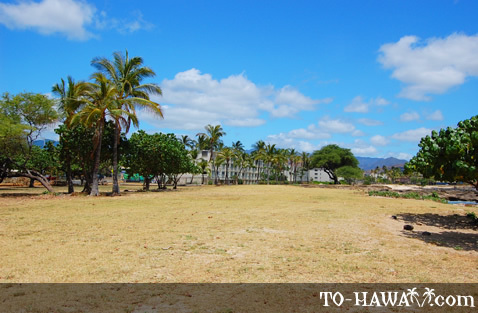 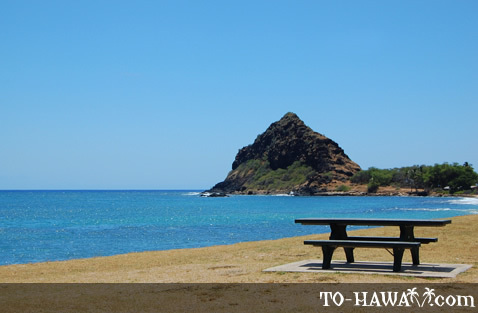 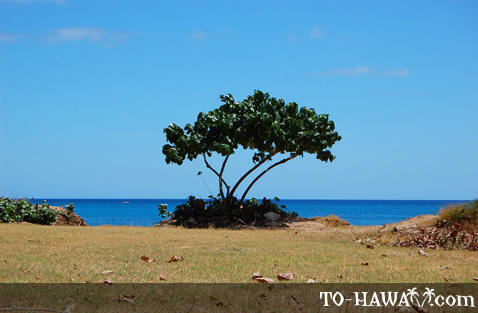 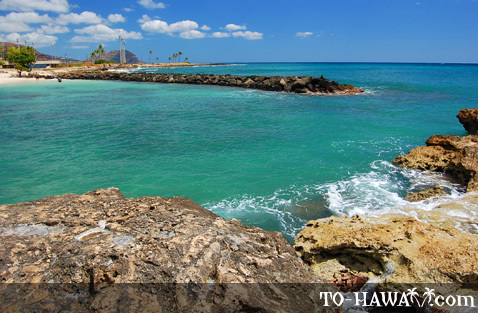 This beach park is named after Mauna Lahilahi (see more photos, view panorama) , a small mountain located on the northern end of the beach. 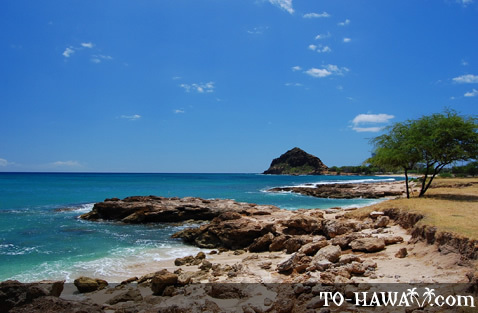 In the Hawaiian language, Mauna Lahilahi means “thin mountain.” It rises 230 feet (70 m) and provides a scenic backdrop. 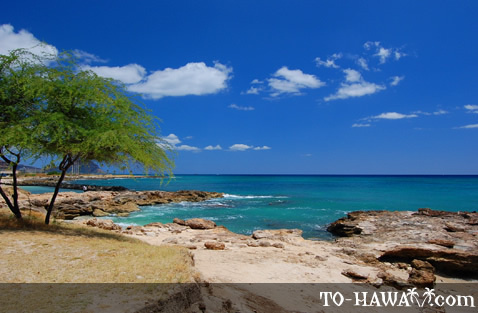 The beach itself is narrow and fronted by a reef. 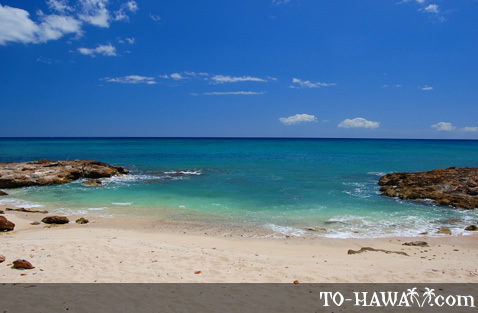 The swimming conditions are therefore rather poor. 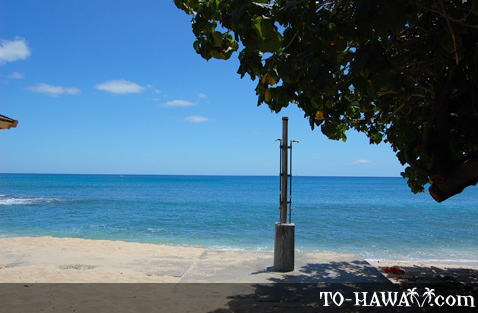 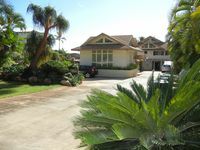 The beach park is located right on Farrington Highway, so one can hear the traffic at all times. 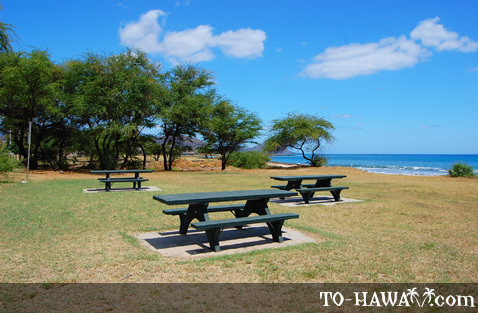 There are a few picnic tables in the park, but since they are not standing in the shade of a tree, they are almost always empty. 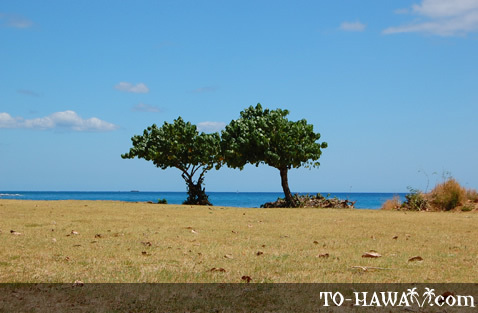 There are a few scattered trees near the southern end of the beach that are a better spot for a picnic (if you don't have a beach umbrella). 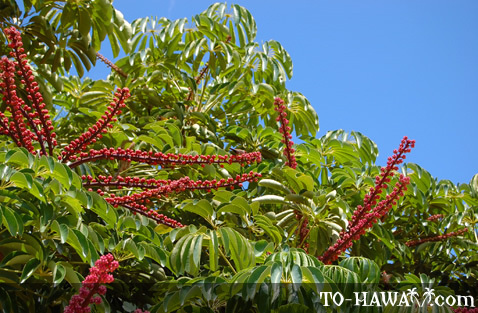 However, some of the trees have sharp thorns, so avoid picnicking under one of those. 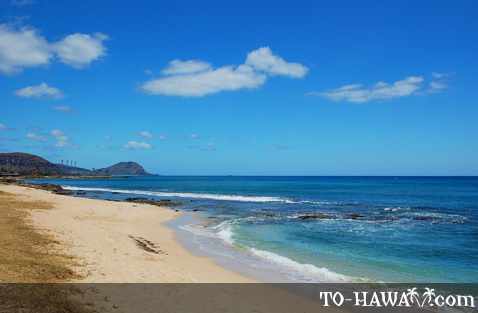 On the far southern side of the beach are three small coves. 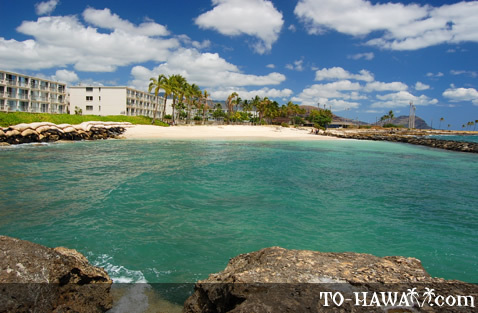 One of them has a protected swimming area (it is protected by a man-made rock wall). 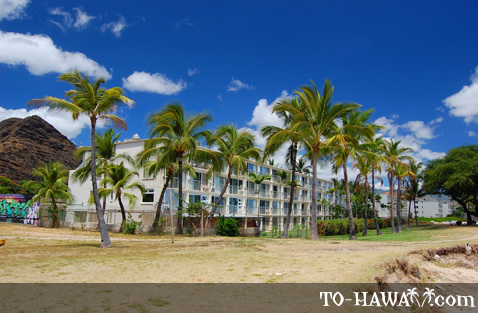 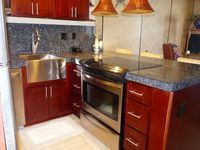 A few vacation condominiums are located here as well.